We are a leading Manufacturer of hdpe paper bags from Ahmedabad, India. 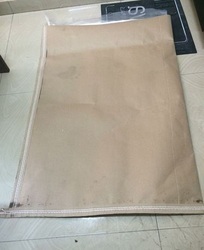 Our company has earned great laurels as manufacturers and suppliers of HDPE Lamination Paper Bags in the market at present. Hygienically prepared, airtight and moisture-free, these bags not only preserve the flavor, freshness and quality of preservatives used in the products but also lend them a visual appeal. These are made available from our side as per the set industry guidelines and at extremely affordable rates as well. These bags are made out of a super quality high density polyethylene material.